I had a day trip to Suzu-shi, a small city located on the Noto peninsula in Ishikawa Prefecture, Japan. 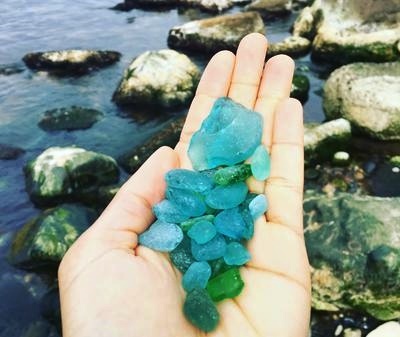 Along the beach were various pieces of sea glass, the majority of them being this bright blue color. I’m curious about how old these pieces may be and what kind of glass they originated from!